In the role you play for the bride and groom’s wedding day, not only are you their photographer, but you are the one who can artistically tell their story. Storytelling is a large part of what makes your images stand out, and what encourages your couple to buy additional products from you. When the bride and groom make the decision to purchase a wedding album from you, it helps increase your profit and gives you the chance to flex your creative muscles. Although creating albums can be beneficial, they can also consume your time and can cause frustration for you. As a busy photographer, it can be difficult to add more to your plate than there already is. For you to successfully run your business and fulfill your clients’ wishes, you need an album design workflow that allows you to spend minimal time on the process. In our Lightning Fast Album Design Webinar with Andrew Funderburg, he shared how you can speed up your album design workflow and create a faster turnaround time. Since he provided so many actionable solutions for a fast workflow, we’ve put together the top 5 tips for fast album design. Although you create the album after the wedding day is over, it is important to keep the design in mind as you are shooting. Think of how you can shoot many images that would work together to tell the story of the wedding day. Also, when you see an image you know is going to be a “Wow” image, try as hard as possible to take the best shots. Andrew recommends to think of the three design concepts you can use during an album: the double-spread, the strip of images, and the collection of equal shots. This can help you plan your shoot, and capture the best images that will create the story of the day. Tip: When you are culling your album choices in Lightroom, star the images you want to use. It can also be helpful to add a tag to the ones that are considered strong images which can stand alone, those that work as a strip of images, and the shots that are equal and can be placed together on a page. 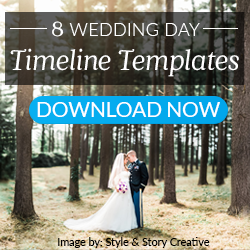 Using an album design platform like Fundy Designer can help you decrease the time you spend in your post-wedding workflow. Once you get your images back from a wedding photography post processing service, export the JPGs into the Album Builder. In the Planner view, you can start designing your album. The Dropzone technology in Fundy Designer lets you place your images where you think they will look best. This is better than using a template that forces you to fit certain images, because you have full control over the aspect ratio of photos. You can also choose the type of album, from the material of the cover, the size and number of pages, and the type of paper. After you make the building decisions, drop your images into the Planner View screen. Andrew recommends choosing the cover image first, followed by the last shot. This is the beginning and end of your story, and will make an impression on your couple. Once you pick those images, you can start filling in the rest of the layout. Similar to Lightroom, you can hold the shift key to select multiple images at once. Related: Are you shooting dramatic images to diversify your portfolio? Andrew also suggests to lay out the story first before you adjust the images. Go through the chosen wedding day photos and decide whether the order of the images matches your vision. Think about the wedding day shoot as you would a movie. Movies build up to the anticipation and emotion that is revealed in a later scene. This is ideally how you should think of the wedding album. Place images to set the scene and then showcase the emotion in another photo. Since creating a cohesive story with the wedding images is important, it is also necessary to make sure the album represents you as a photographer. You want to add a style to the album to set you apart from others and to give your clients something unique they will love. This can be through the placement, size, or background color of the image. Something else to keep in mind is making sure there are not too many images per page. Andrew’s preference for this is to place two and a half images on each page, unless you are featuring a “Wow” image as a double page-spread. A simple way to decide whether an image should be alone or with others is to look at what part of the day it represents. If it is a photo representing the details, you can include multiple images on that page. “Wow” shots from the ceremony or first look should be placed on a page with minimal images. Tip: If you are going to use multiple images, they should relate to one another. Scene-setting images are part of a timeline and share more details of the story. Once you make the important decisions about the must-haves of your album, you can now make your final decisions before ordering and sending to your clients. You can export the album for proofing through Fundy Designer, which is helpful so you do not need to switch programs. The proofing section keeps your revisions, so you can easily go back to a previous draft if necessary. Take a look at the overall design and story the album has, and make sure it matches what you and your clients envisioned for the wedding day. If you need to make any small retouches, you can export the images back to Lightroom, or you can open them in Photoshop to accomplish this. When your image is ready to go, you can order directly through Fundy Designer. 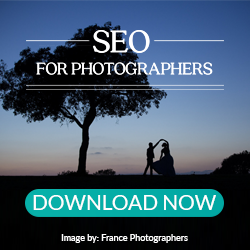 Choose the option to order and this will export the images to print-ready files. Once your couple approves the design, the album will be ready to go and you can send it to them. Tip: While your images are uploading, you can work on another album or a project which requires your attention. When the bride and groom hired you to shoot their wedding, they put their trust in you to capture every important moment of the day. This trust also extends to their wedding album. You have the task to make their wedding images look their best, and to create an album that showcases the important moments. Andrew points out in the webinar the photographers who have the best albums, or who make the most money, predesign albums without the couple’s input. It is your responsibility to accurately tell the story, and then give the bride and groom an opportunity to make minimal changes. If you can create a wedding album and receive little to no feedback, you can decrease the time you spend on design. Developing a quick and efficient album design workflow can help you create the story of the wedding day without sacrificing any more of your time. The faster you can send the album to your clients, the happier they will be (and will likely refer you in the future!). 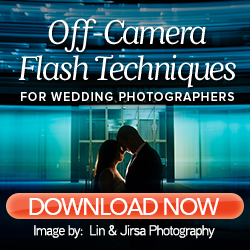 Learn more about improving your workflow speed and more in our free Guide, How to Grow Your Wedding Photography Business!